Last week saw a two-day workshop for the design of the Hot Cell facility, with the goal of generating design options. The Science and Technology Advisory Committee (STAC) to ITER recommended an action plan that was launched last December. ITER staff, representatives from the European Domestic Agency "Fusion for Energy" and advisers from external companies participated in this exercise. During last week's meeting two options were discussed, both including ITER maintenance issues, functionality requirements and possible optimization. "This meeting was a step forward in a long exercise," said Magali Benchikhoune, ITER Hot Cell & Radwaste Services Integration Section Leader. 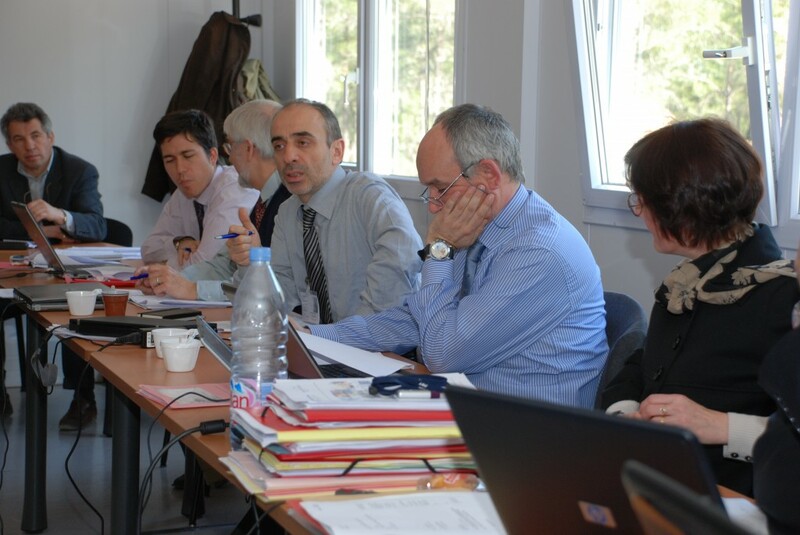 The outcome will be presented to the STAC2 Recommendations Coordination Meeting in its next meeting on 18 March 2008, during the IO—DA meeting in Aix en Provence. The design and ultimately the size of the Hot Cell Building is driven by the special purposes and requirements of the ITER systems for remote handling and repair of tokamak components, including the management of radioactive waste generated by those processes. In simple words: It is all about the necessary size of the building allowing operation and maintenance of the ITER device. "It is a bit like building a car repair shop," Magali Benchikhoune explains. "You want to make sure that it is reasonably big enough so that you can park the cars to be repaired, do the maintenance work and store the spares."